WebSphere Liberty shows leadership in Java EE performance by being first to publish in this benchmark. 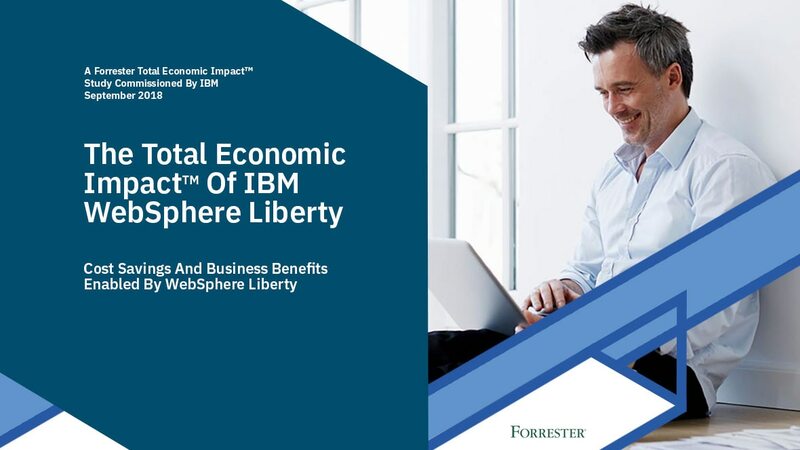 Build a Business Case for IT Modernization with The Total Economic Impact™ (TEI) of WebSphere Liberty. Learn about many new enhancements and get your hands on Liberty V18.0.0.3 labs. Ranks IBM Application Platforms as "very strong" on various parameters including vision, momentum, innovation, and more. How did The Saudi Investment Bank (SAIB) deliver new services at least 30% faster?